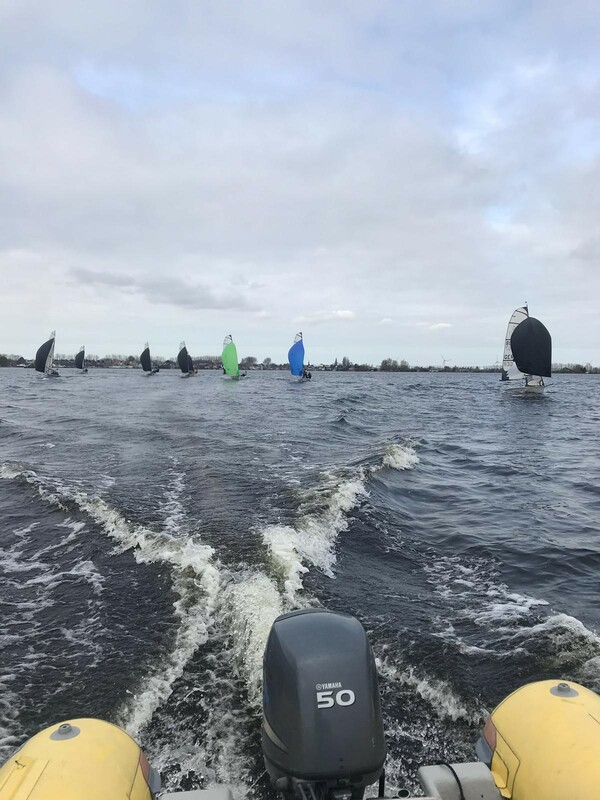 March 25, 2019, 8:25 p.m.
Last Saturday March 23, the Dutch national RS500 class association organized its first training on the Braassemermeer. A great lake, with a friendly club that has fantastic accommodations for sail training (and races). We were very lucky to have perfect weather, enough wind to start, later increasing to 8 to 12 knots, so also planning conditions with gennaker and trapeze. Perfect to get out of our hibernation. Our trainer Marloes started with a short classroom session and after that sent us to the water as quickly as possible. Starting with a high frequency of tacking and gybing on a very short course. Warming up those that might be cold (others were already sweating). After that we used the full length of the lake for practicing tacking and gybing and great sailing, see picture. We ended with some races that proved to be extremely close racing. This predicts a season with strong competition and sailors eager to win. 9 boats participated in the training of which 3 from Germany. The German boats stayed for the whole weekend. Great to see such an enthusiasm of this club out of Koln. I think we will see much more of them. It was great to be on the water again. Hope to see you all on April 13 for our next training.